I’m writing this in the top floor of a Galician hole in the wall with what appears to be a large contingent of the Barcelona en Comú election team. David from Barcelona en Comú brought us here, promising great seafood. The election team is extremely young. There’s some confusion about how much octopus to order, but none such about how much beer. We came here after the kickoff rally in Plaça dels Àngels, where we heard Barcelona’s mayor Ada Colau speak with Manuela Carmena, the mayor of Madrid. The two women spoke of their friendship, how they are not only political allies but close friends, the more they visit each other’s cities. Ada said that we need to break down the walls that prevent citizens from entering politics: the professionalism, the cronyism, the elitism that insists that only the elite understand what we need to do. Funny how that always means doubling down on neoliberalism. Ada said that our politicians should go back to their real lives after serving a term; that our representatives must be members of the community, not enter a revolving door between the private sphere and a public sector that doesn’t actually serve citizens. She’s an inspiring example because she truly shows that any of us are fit to lead our own community groups, neighborhoods, and even cities.. Only we, the people, know what is to be done. The false elitism of our current system of governance is an illusion. The real ground of contention in all political questions is not how to execute a bloodless technocratic consensus, but rather what ought to be the configuration of society, and who gets what. Only by breaking this illusion of great technical difficulty will we overcome our doubts and seize power. Earlier in the day, another comrade from Britain called out another illusion, one that has trapped us in the status quo: the idea that currently existing political configurations are a natural fact. We’ve got to realize that what is not possible in San Francisco alone may be tackled at a regional level, with new alliances between municipalities, creating issue constituencies that cut across currently existing legal structures. For example, housing access across the entire San Francisco Peninsula and Bay Area is an inextricably regional issue, and when we have conversations about policy interventions in just San Francisco, we artificially limit ourselves and the scope of possible solutions. Finally, a shout out! Ada reminded me of all my women comrades in the DSA SF who are running for Steering Committee. Impostor syndrome is a real thing, and undeniably affects women more than men. So, thank you for believing in yourselves that you can lead us. 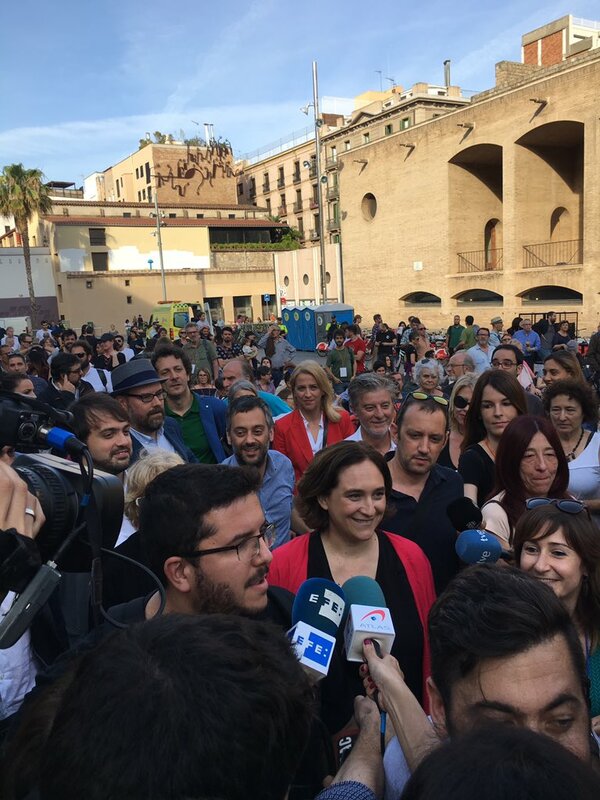 In shattering your personal illusions, you are a wonderful example to us all—just as is Ada Colau, just as we must all believe that only we can lead ourselves.